The history of the Emory Department of Family and Preventive Medicine (DFPM) is a true adventure. The story reflects not only the birth of the DFPM, but also of the Emory Rollins School of Public Health and the Emory “Clifton Corridor” neighborhood of the home offices of the Center for Disease Control and Prevention (CDC) and the American Cancer Society (ACS). Charles A. LeMaistre, M.D., who served in the US Public Health Service Epidemic Intelligence Service, joined the Emory School of Medicine faculty in 1954 as the director of the first Clinical Infectious Diseases program, housed in the Emory Department of Medicine. Given his public health background and interests, he was well-positioned to become the first Chairman of the Emory Department of Preventive Medicine and Community Health. Dr. J. Willis Hurst, a cardiologist and good friend of Dr. Eugene Stead, became the Chairman of the Department of Medicine in 1957 serving until 1986. Dr. Hurst was responsible for the creation of the predecessor of the Emory Physician Assistant Program, modeled after a program Dr. Stead had created at Duke. 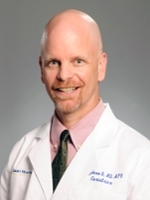 Dr. Hurst’s program, initially a hospital-based cardiology specialty program, was located at Grady Memorial Hospital. Dr. Thomas F. Sellers, son of Dr. Thomas Fort Sellers, Sr., a public health leader in Georgia for 42 years, trained under Dr. LaMeistre and became the next Chair of the Department of Preventive Medicine and Community Health at Emory in 1958. Dr. Sellers and friend Dr. William Marine, created a master of community health program, housed in the Department of Preventive Medicine. In 1974 the Master of Community Health Program was approved by the Emory Board of Trustees Rollins School of Public Health and Office of Medical Education in the School of Medicine. Dr. Eugene Gangarosa, a world expert in waterborne diseases, joined Emory in 1982 to direct the community health program. In 1990, the community health master’s program evolved to the new School of Public Health with Dr. James Curran as the Dean. In 1960 Dr Sellers assumed responsibility as Chairman of the Department of Preventive Medicine and Community Health (DPMCH). In 1967, Dr. J. Willis Hurst’s Medical Cardiology Specialist Program at Grady Memorial Hospital for Medics returning from the Vietnam war was moved to the Emory campus and became the Emory Physician Assistant (PA) Program. Dr. James Glenn, new Dean of the Emory School of Medicine and Dr. Sellers decided to house the PA program, the emergency clinic residency and the chaplaincy program in the DPMCH. With the addition of the Grady satellite clinics, the Physician Assistant program, the community health master program, and the 1988 HRSA-funded Southeast AIDS Training and Education Center, the DPMCH began to take on a focus of primary care, infectious disease research, health professions education, and community-based care for medically underserved populations. Dr. Sellers chronicled his experiences at Emory in his delightful book, What’s Up, Doc? : A Lifetime in Medicine, 1946-1990. Dr. Jeffery Houpt, Dean of the School of Medicine from 1988 until 1996 understood the need for training primary care physicians and continuing supporting public health education and research. In 1993 he recruited Dr. Lawrence Lutz from the University of Colorado, where he served as the Director of ASPN, to develop a Family Medicine Residency program. Dr. Lutz was a Robert Wood Johnson fellow at the University of Utah, where he completed his Preventive Medicine and was the Director of the Family Practice Residency Program, Division Chief, and Fellowship Director. The Department of Community and Preventive Medicine until then had no clinical services other than through the Grady Hospital Neighborhood Health Centers. Dr. Lutz established both the Family Medicine and Preventive Medicine Residency Programs, and in 1994 became the Chair of the newly named Department of Family and Preventive Medicine. The Emory Family Medicine Residency program and clinical practice was initially housed at Crawford W. Long Hospital (now Emory Midtown) and the Family Medicine Center at South DeKalb. In 1998 the group moved to the Emory/HCA, LLC in the Dunwoody community. Following closure of the Dunwoody HCA/Emory hospital 1998, the inpatient services moved first to Emory Johns Creek and then to Emory Midtown. In 2010, the Emory Family Medicine Clinic in Dunwoody opened as the ideal site for Family Medicine residency training and community based primary care practice. In 2011, Dr. Katherine Heilpern, MD, Chair of the Department of Emergency Medicine at Emory became the Interim Chair of the Department of Family and Preventive Medicine. Dr. Ted Johnson became Chair of the Department in 2014.